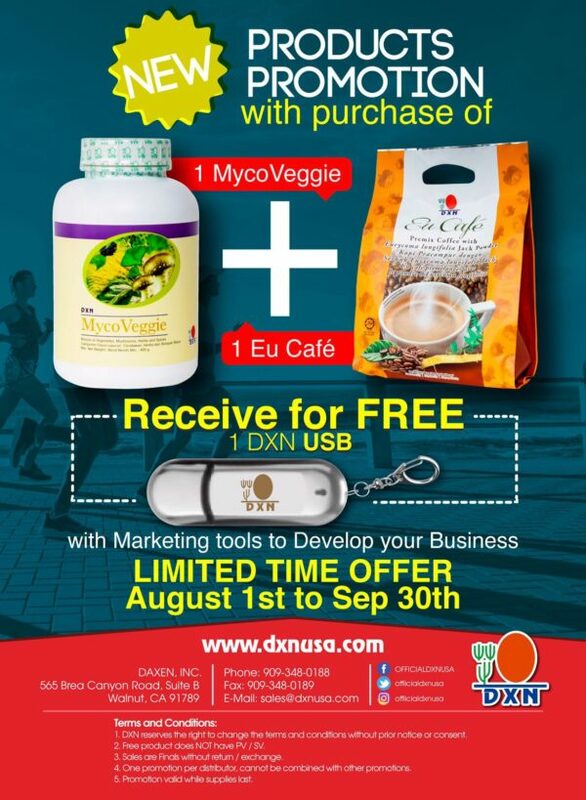 Buy 1 DXN MycoVeggie and 1 DXN EuCafé and you will receive 1 DXN USB for FREE! The DXN USB contains Marketing Tools to develop your business. What is MycoVeggie? What does it contain? What are the benefits of MycoVeggie? How does MycoVeggie act in my body upon consumption? MycoVeggie is rich in soluble and non-soluble fibre and abundant in nutrients. The fibres possess bulk-forming properties which act to enhance peristalsis and bowel movements. As they go through the digestive tract, the fibrous particles help soak up and remove unwanted waste from hard-to-reach corners in the intestine. These particles also help to clean the remnants of undigested food which accumulate- over the years. 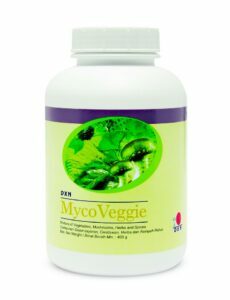 At the same time, other ingredients in MycoVeggie also provide nourishment to the cells, thus supplying you with important nutrients. Can MycoVeggie cure my problem/illness? The answer is NO. MycoVeggie is not a drug/medicine and it does not cure diseases. It is a food supplement that you may consume in addition to your usual diet for general well-being. You may feel tired/fatigue or experience illnesses due to your energy being diverted to eliminate toxins from the body. What MycoVeggie does is to help regulate body imbalance and get rid of toxins in the body. When your body carries less burden to purge the stored toxins, energy can be diverted to something else, such as to repair body systems and regulate body functions. Natural healing takes place, vital organs become healthier and your body rejuvenates. You will then feel more alert and energetic. Mycoveggie is suitable for anyone who wants to detox, lose weight, supplement their existing diet and for general well-being. It helps in healing the body so it can fight against diseases better. It is very nutritious and can be used as a meal replacement. 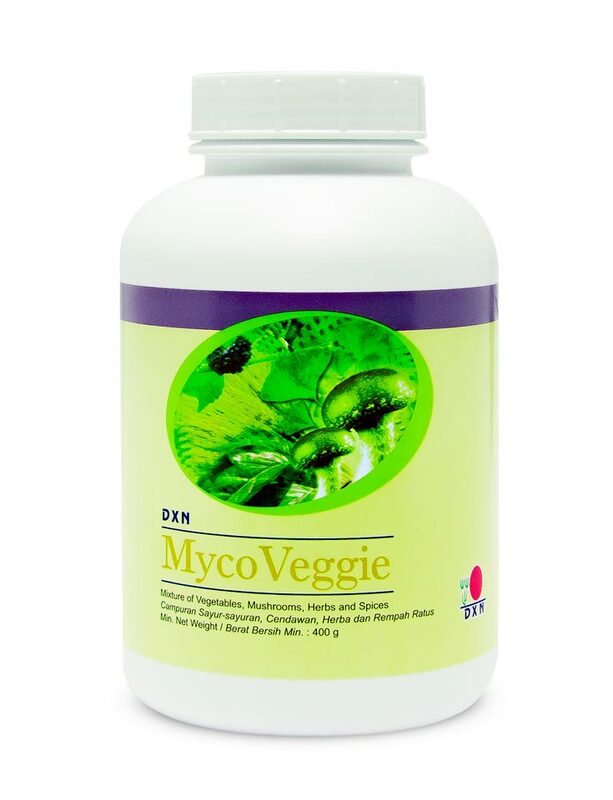 Individuals above 3 years of age may enjoy the health-enhancing benefits of MycoVeggie. Besides, MycoVeggie is also suitable for vegetarians. How should I consume MycoVeggie? It is recommended that you consume MycoVeggie 1-3 times daily, more, if you wish to regain better health to help fight illnesses. Use one scoop of the powder with a glass of cold or lukewarm water. Do not mix with hot water. Stir and consume immediately. Have one full glass of water after you consume MycoVeggie. It is very important that you increase your water intake throughout the day. Make it a habit to consume 8-12 glasses of water (250ml/glass) a day, more if you exercise. This would help eliminate waste through your bowel and promote regularity. If you are taking prescription medicine, allow one to two hours after your medication before you consume MycoVeggie. What is the appearance of MycoVeggie? MycoVeggie is available in a greenish powder form. Once mixed with water, it slowly becomes gelatinous-like because of its high fibre content, which soaks up water and expands. So it is recommended that you consume the drink immediately for optimum benefits. 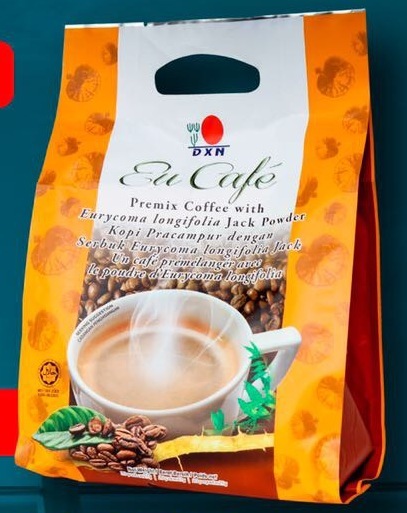 Can I mix MycoVeggie with other beverage? Yes, absolutely! You can mix the powder with your favourite beverages, juices or drinks (e.g. : soyabean milk, cocoa and cereal drink). We highly recommend that you take MycoVeggie with our very own Spirulina cereal, Cocozhi, Morinzhi, Morinzyme, Roselle juice and others. Just do some experiments and you may find your favourite combination of absolutely healthy and nutritious food! When is the best time to consume MycoVeggie? For best results, consume one serving of MycoVeggie, once in the morning and once n the evening, allowing 30-45 minutes before you have breakfast and dinner. If you are taking prescription medicine, it is advised that you consume your medication 1 hour before the consumption of MycoVeggie. How should I consume MycoVeggie if I want to lose weight? MycoVeggie is the best choice of supplement if you wish to lose weight. It is all-natural and additive-free, thus giving you a nutritious replacement food to enhance weight lost. If you wish to lose weight, we recommend that you follow our program which combines a healthy diet (1000-1200 calories) with physical activity. You may lose 2-6 lbs in a week. Just remember to take at least 8 glasses of water daily, be disciplined and stay motivated! Exercise is essentially a form of detoxification process on its own. When you exercise, unwanted waste will be eliminated with your sweat. Health authorities have always stressed the importance of exercise, and it is beneficial for everyone. It helps strengthen the heart and fight against diseases. As a beginner, you may start with 15 minutes of light exercise (e.g. : slow walk, yoga), 3-5 times a week. As you get stronger, increase the period of exercise to 30 or 45 minutes and increase the intensity. Fasting gives your body a self-healing opportunity so that it can concentrate and diversify its energy in repairing itself from damages or illnesses. The above mentioned prices are for informational purpose only, and it’s written 08.08.2017. They may change later. So for the actual price please visit the webshop.